Mom Among Chaos received this item free in exchange for her honest opinion. All thoughts are my own. My dogs both have lousy breath especially my chihuahua. Chihuahua's are known for having bad teeth. 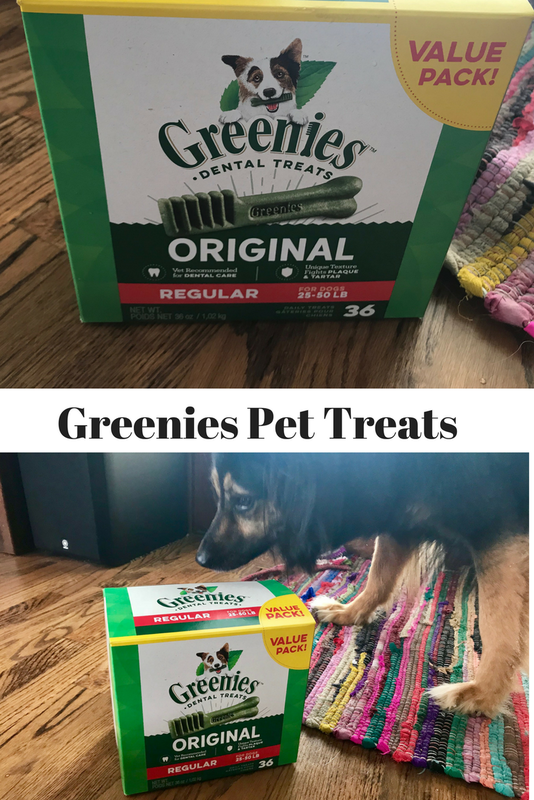 The Greenies pet treats that I was sent were for a dog that weighed 25-50 pounds. Since my chihuahua is only 5 pounds, just Ms. Izzy was getting goodies this month. Greenies Smoochable Breath Treats come in different sizes depending on your dog's weight and are available on Chewy.com. Izzy, my border collie/shepherd mix goes gaga over these things. Not only do they make her breath smell better they also help fight plaque. So it's a win-win for this fur mom when her dog is getting clean teeth, and Izzy is happy receiving a treat. Here are some facts about Greenies Smoochable Breath Treats! These tasty treats come recommended by veterinarians. Treats are loaded with vitamins and minerals! The treats are made for the size of your dog. So, they're just right for your dog based on weight. This item has great reviews and is highly-rated. Are you tired of doggy breath? 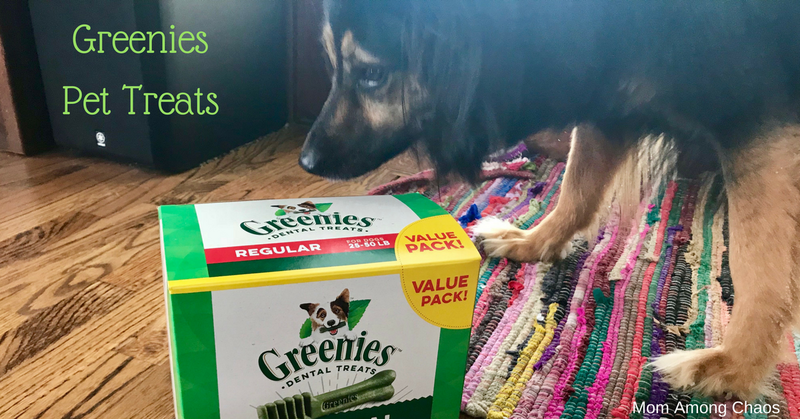 Well, head on over to Chewy.com and pick up Greenies Pet Treats!